The 2nd Annual TELUS Newcomer Artist Award! With the common goal to support and celebrate newcomer artists in the City of Toronto, TELUS and the Neighbourhood Arts Network are pleased to announce the TELUS Newcomer Artist Award, a $10,000 cash prize celebrating a newcomer artist living in the City of Toronto. 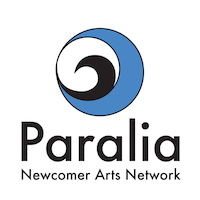 Administered by the Neighbourhood Arts Network and Toronto Arts Foundation, this prize is specically geared towards an individual artist who is a newcomer to Canada, a resident of the City of Toronto, and making a positive impact in their community through their artistic practice. Award Selection Process: Applications will be reviewed by a multidisciplinary jury selected by the Neighbourhood Arts Network and Toronto Arts Foundation. Jury members will have recognized expertise, prestige, credibility, and experience, along with a sense of history and perspective. The jury will be comprised of participants who are practitioners of the arts, organizers, programmers, producers, curators, critics, commentators and lay specialists. The Neighbourhood Arts Network and Toronto Arts Foundation will endeavor to ensure that the majority of jury members are arts and culture professionals. As June 12th, Bill C- 24 recived Royal Assent and is now Law. The bylaw listed 9 eligibility requirements, 11 fraud provisions and 6 decision factors, this law questions the eligibilities of people with duo citizenship, expecially the ones spend long time outside of Canada, and the ones come into Canada with their orignial citizenship. For new Canadian citizenship applicants, they would have to sign an agreement indicate that “they intend to stay in Canada”, and possibly give up their old citizenship status. The government will also track the people whom already obtained Canadian citizenship, yet proven currently residing outside of Canada. Their Canadian citizenship might be reviewed, worst case, revoked and withdrawn. Lawyers faught hard to against this law, as it unfairly targets and devalues the contributions made by one specic group of immigrants, namely, former foreign workers and international students who became Canadian permanent residents in the recent years… Does it affect your life?